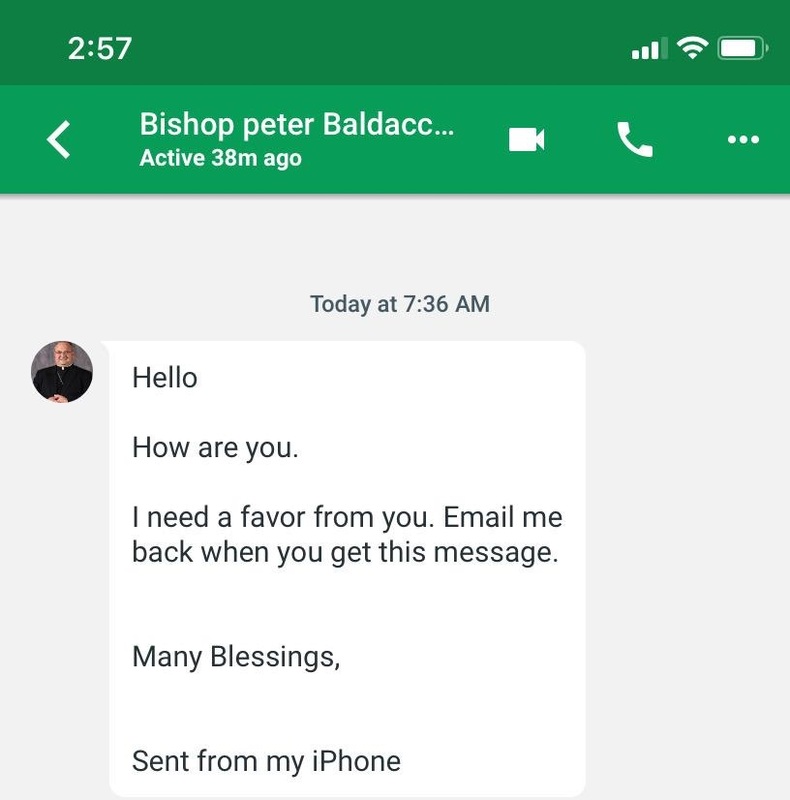 Scammers are sending emails, text messages, Hangouts messages, etc… using Bishop Peter’s name to get parishioners to buy iTunes gift cards. 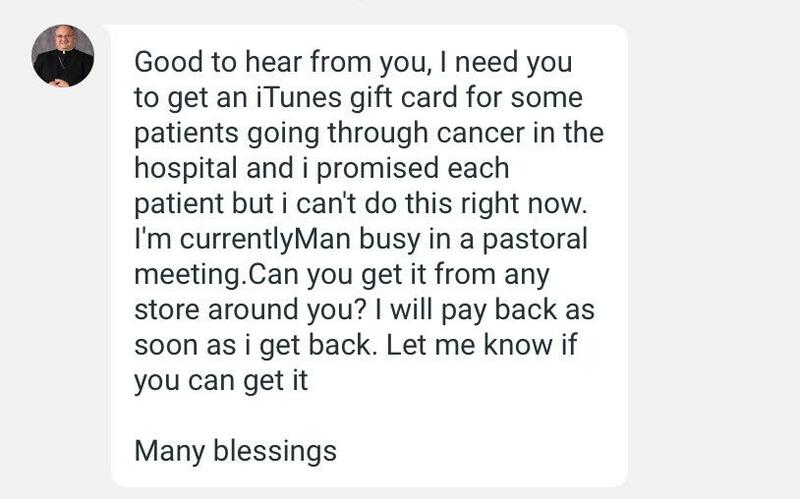 If you have been a victim of this scam – please call Apple and your bank to report the incident. Be very careful! 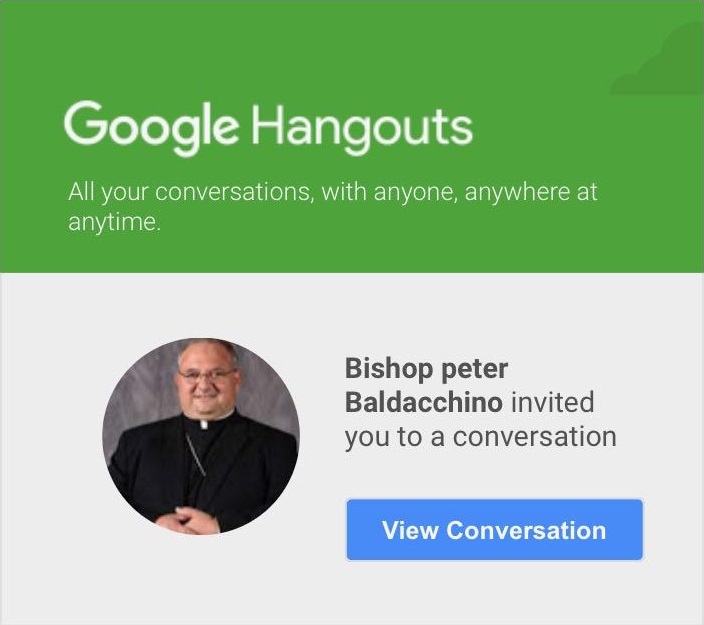 Bishop Peter would never act like this!